Activity Link Systems (ALS) is a leading provider of software for the Activity and TimeShare Industry. ALS provides Internet ready PCI Compliant Point of Sale Systems that support Real Time Reservations and can be integrated with your existing Web Site. Don't have a website or tired or your existing design? Get an instant full eCommerce Web Site with ACE. Our flagship products include AL-Pro for "Activity Providers" or vendors and AL-Desk for "Activity Desks" or agencies. 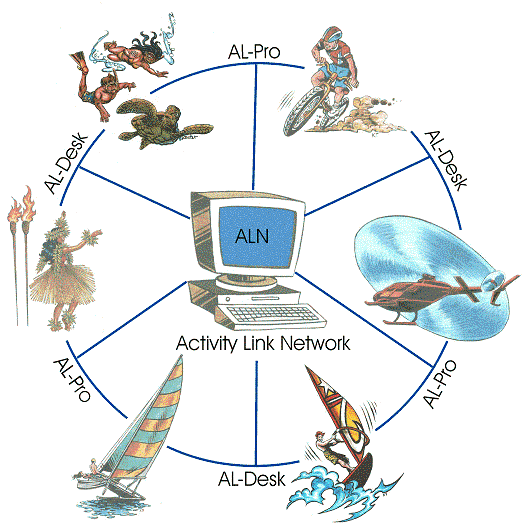 The Activity Link Network (ALN) facilitates realtime booking between AL-Desk and AL-Pro and other travel industry partners. ALS Cloud Editions (ACE) provide the basis for both instant SEO optimized website deployment and secure access for agents from desktops, mobile devices and tablets. AL-Pro helicopter edition, is the leading software available for the tour helicopter industry.